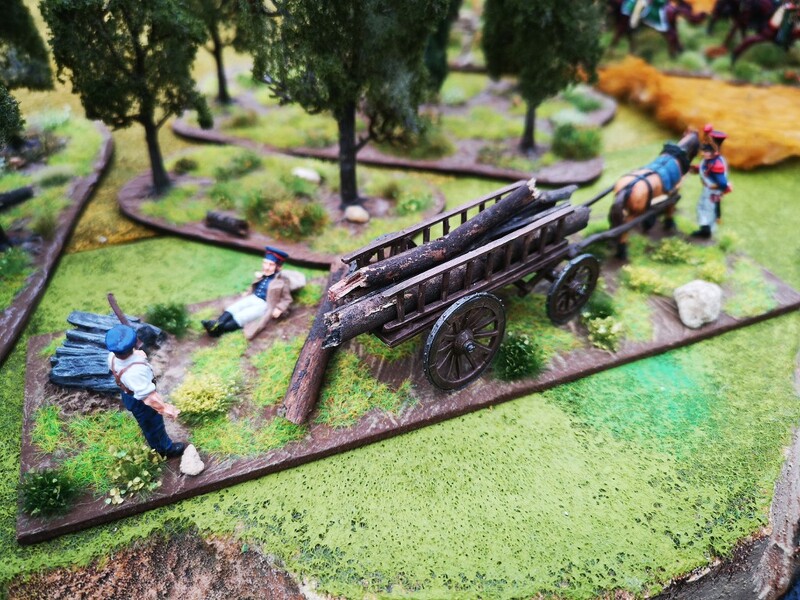 Yesterday Mr. H & myself went along to Claymore & put on a display representing Essling, in the 1809 campaign. 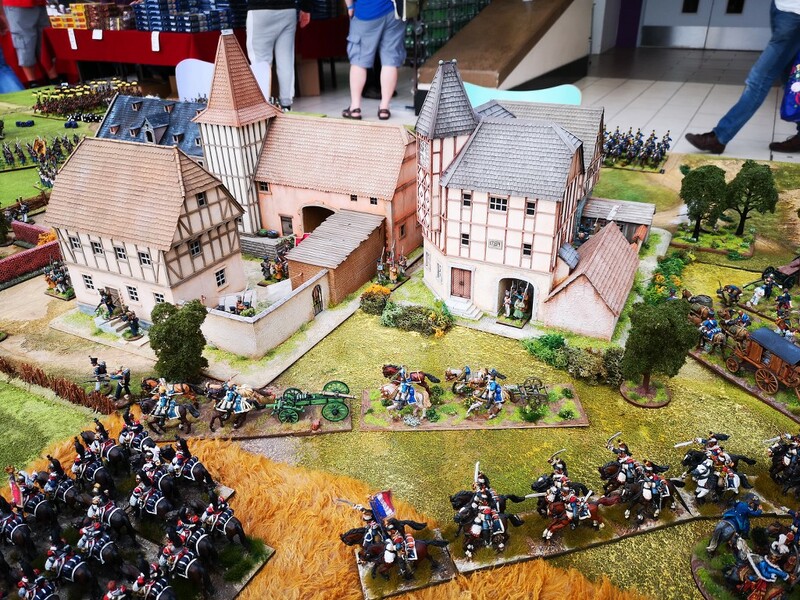 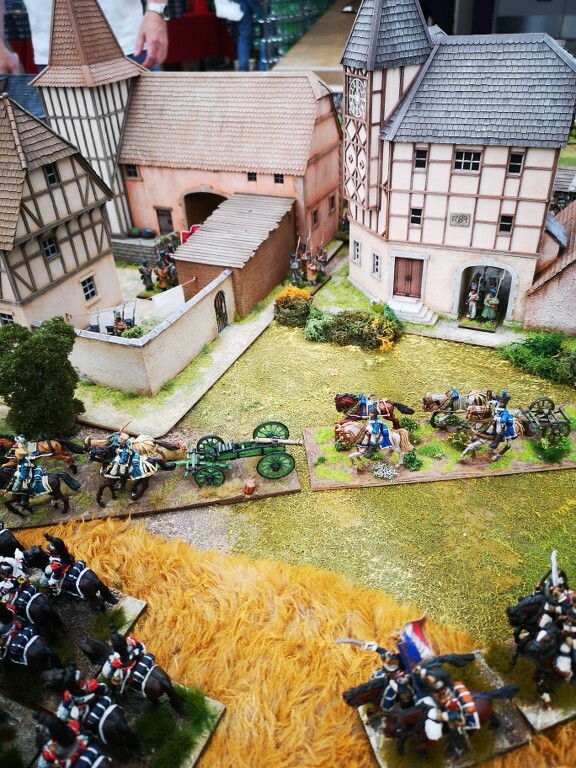 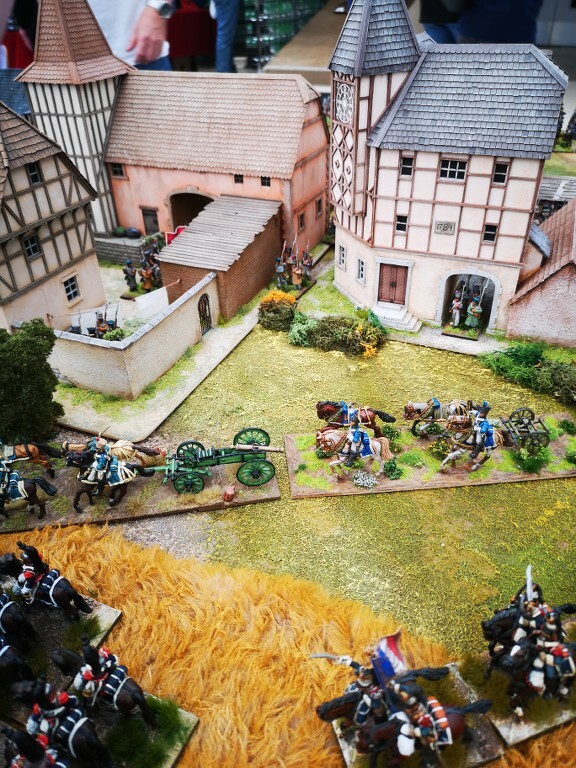 The table was very well received & the buildings were the stars of the show, although most people liked the large cavalry units the Austrians field. 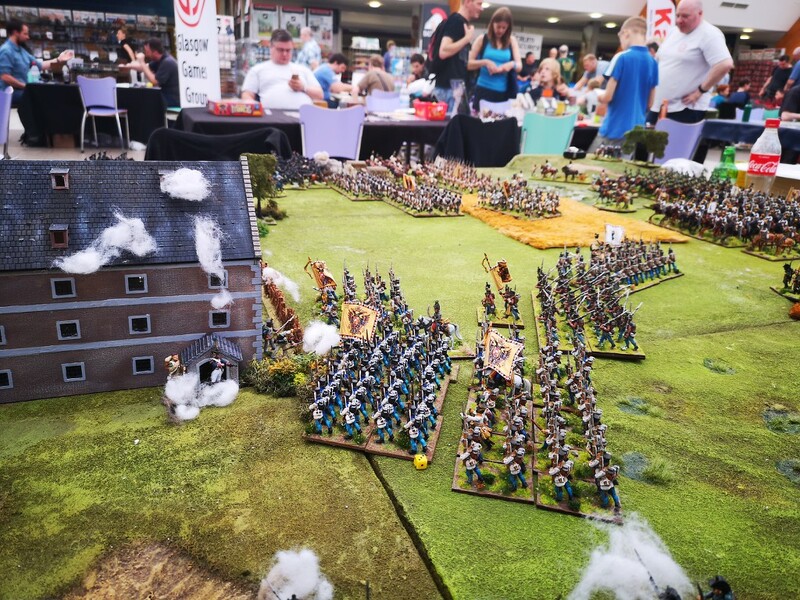 Hope to get this on at a weekender or 1 day game soon. 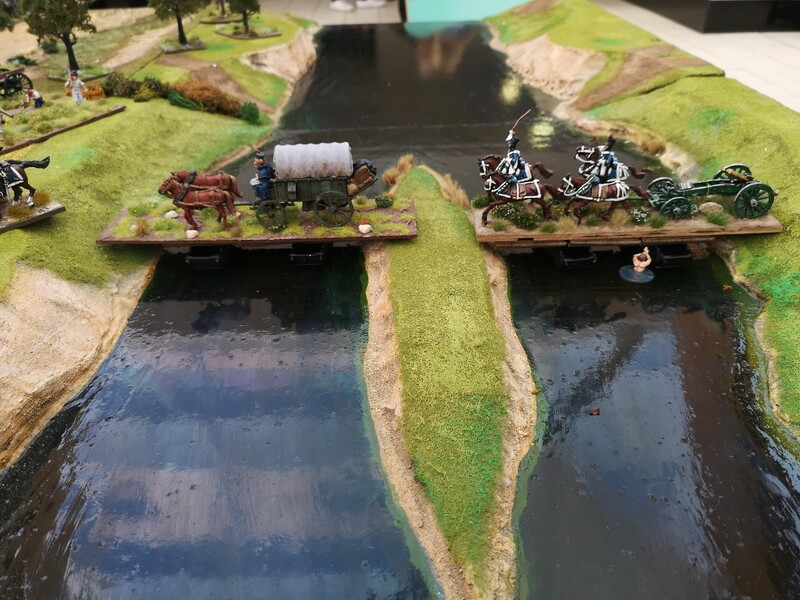 Great looking games guys, I bet you guys in the atrium were as hot as I was in Cyprus except that I got to cool off in the water park.